The Montbrun Chateau built in the 12th and 15th centuries, and was restored in the late 19th century. 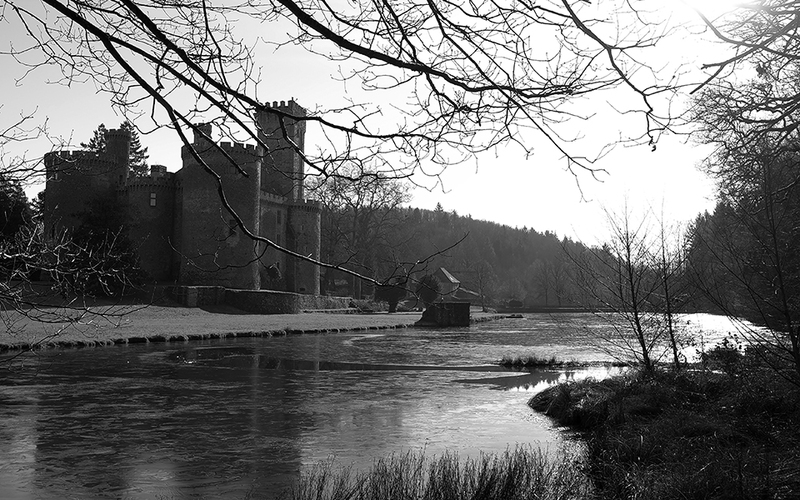 The castle stands within a deep valley. Built in the 12th century, its function was to defend the borders of the Duchy of Aquitaine. 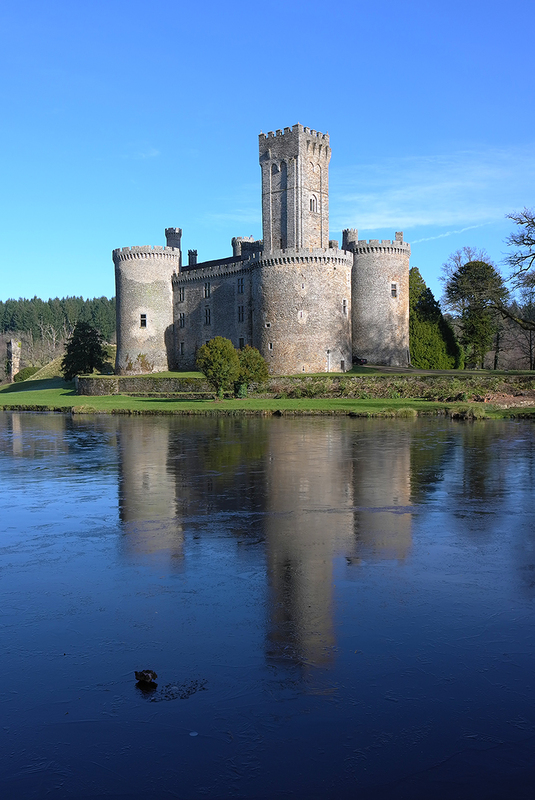 Though rebuilt in the 15th century, it still has the moat, high walls and a square keep topped with machicolations. Montbrun is a fine example of a 15th-century castle. In plan rectangular, it is flanked in the corners with round towers and protected by water. Its narrow romanesque keep, 40 metres (131 ft) square, close up against one of the towers, gives it a strange appearance.